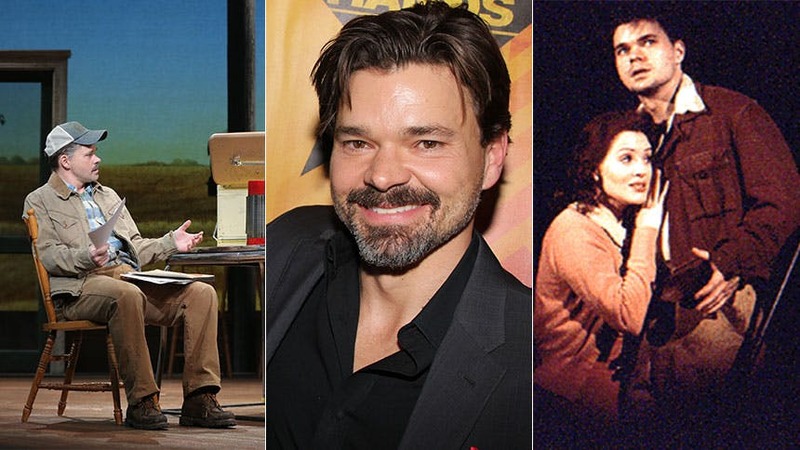 Hunter Foster has had the kind of Broadway career, theater actors envy. Currently, Foster is co-starring in his ninth Broadway musical, the lush and romantic stage adaptation of The Bridges of Madison County. Foster plays Bud Johnson, the stoic Iowa farmer married to Kelli O’Hara’s Francesca. A truly versatile performer, Foster’s Broadway credits range from early performances as Roger in Grease and Bickle in Footloose to starring roles as Leo Bloom in The Producers, Sam Phillips in Million Dollar Quartet and Benny Perkins in Hands on a Hardbody. In 2004, Hunter Foster received Drama Desk and Tony Award nominations for originating the role of Seymour in the first Broadway production of the cult favorite Little Shop of Horrors. On television, Hunter appeared opposite his sister, Tony winner Sutton Foster, on the ABC Family series Bunheads. Oh, and did we mention, he’s also a playwright? Foster penned the books to the off-Broadway musicals Summer of ‘42 and Jasper in Deadland. BroadwayBox recently caught up with Foster and asked him to look back on this illustrious stage career and name just one role, one experience that changed everything for him; and for Foster that game-changer came in the form of Bobby Strong in Urinetown. Check out Foster’s incredible Urinetown Tony-night performance below, and then run to see him in Bridges of Madison County at the Schoenfeld Theatre.